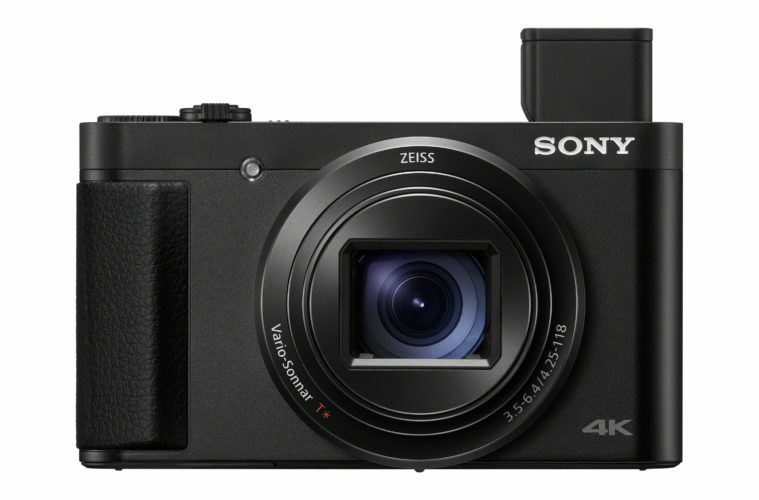 Two new compact cameras with a powerful 28x zoom have recently made their way into Sony’s product lineup: the Sony Cybershot HX95 and HX99. 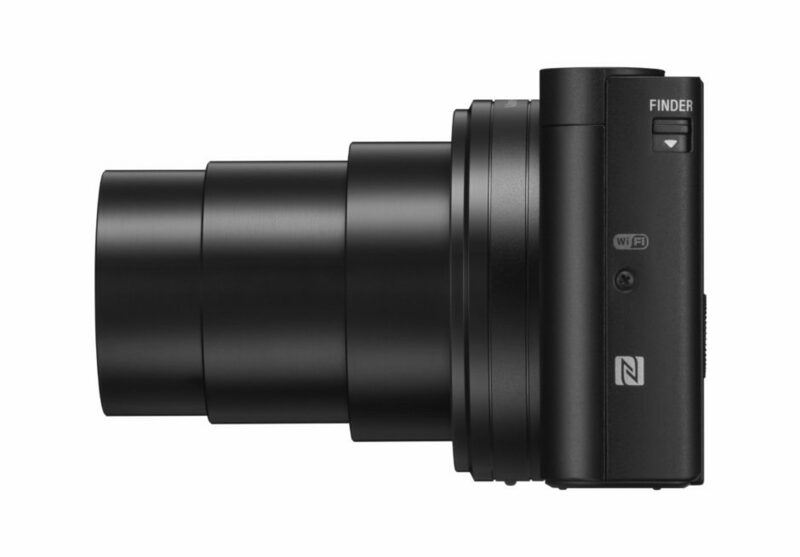 These two cameras are ultra-compact and have a retractable electronic viewfinder as well as a pivoting display. They are also equipped with 4K/UHD video recording capability, the latest-generation processor, RAW format, as well as many other features that give these two cameras wide-ranging versatility and appeal. 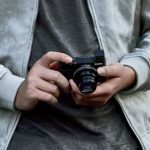 Sony likes to release its newest compact cameras in pairs or in groups of three, and the HX95 and HX99 are no exception to this rule. Both of these cameras are equipped with a powerful 28x zoom equivalent to a 24-720 mm f/3.5-6.4 lens. 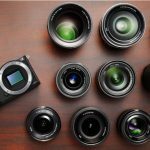 While its focal range is less than that of the zoom used on the HX90 and HX90V (30x zoom), it should still provide users with a high degree of versatility. 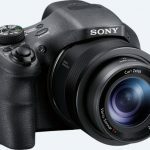 In order to facilitate this powerful zoom’s use, Sony has developed a feature called: Zoom assist. Both of these models reuse the same chassis as their respective predecessors, the HX90 and the HX90V (which distinguished themselves by their GPS feature). While they are miniature, both the HX95 and the HX99 feature a small grip which makes them easier to hold. 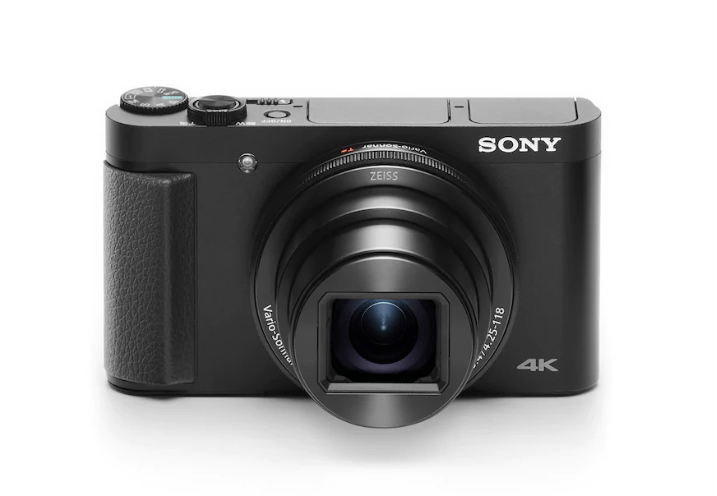 Furthermore, both of these models incorporate a retractable electronic viewfinder (with a 638 400 point definition) which is cleverly hidden on the left-hand side of the camera. They also have a 7.5 cm (921 600 point definition) display capable of pivoting over 180°. However, there are two key features separating the HX99 from the HX95. The HX99 features a touchscreen (which will allow you to adjust focus while keeping your eye to the viewfinder) as well as a customizable manual control ring located around its lens (which will allow you to either adjust the camera’s focus or its zoom depending on your chosen setting). Both the HX99 and 95 use the same 1/2.3 type 18.2 Mpx CMOS Exmor R sensor as the HX90s in conjunction with the latest generation BIONZ X processor. This combination, which proved its effectiveness on previous models, is complemented by the addition of RAW file format on the HX99 and 95 – a welcome feature which should allow these cameras to compete with the Panasonic TZ90 and allow their users to take the post-production of their photos to the next level. Both the HX99 and the HX95 have an advertised burst rate of 10 images/s for a maximum of 155 images thanks to an improved buffer memory (a significant increase over the HX90s’ limit of 10 consecutive images). Last but not least, the HX99 and HX95 are the first models in the series to be capable of recording 4K/UHD 30p video. They are also equipped with WiFi, Bluetooth, and NFC connectivity to facilitate the rapid sharing of files. 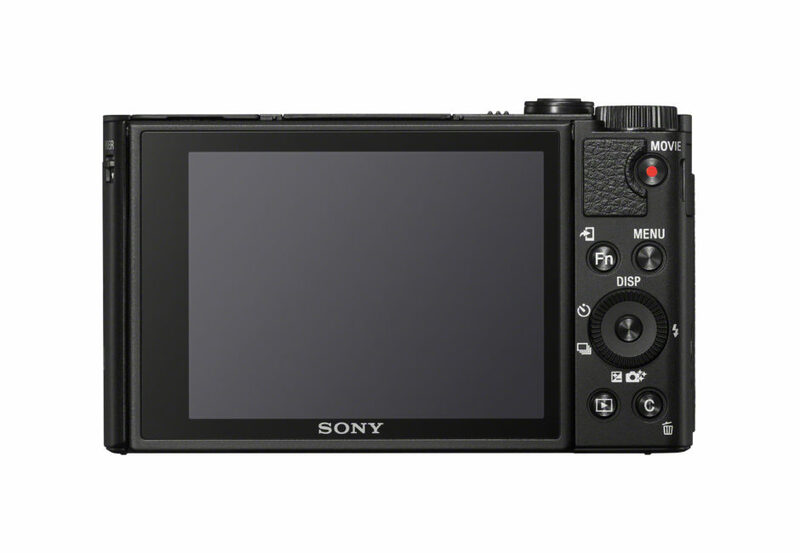 Sony’s new Cyber-shot HX99 and HX95 will become commercially available in Europe beginning in October 2018. The HX99, which should retail for around 610$, and the HX95 (with a suggested retail price of around 580 are poised to become ideal travel companions even though we do not fully understand the logic behind releasing two distinct models separated by such a small price difference. 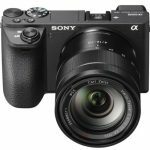 The Sony A5100 has been discontinued, is the Sony A5200 coming?